This aphorism “the fear of the LORD is the beginning of knowledge” is so important that it will be repeated again at the end of this collection of proverbs (9:10), but it is also difficult for us to understand. What does fear have to do with learning wisdom? What kind of fear is he talking about? I remember watching a particular horror movie when I was a kid. At first, I didn’t think anything of it, but when I went to bed that night, my mind went back to some of the images on the movie, and I found myself lying in bed afraid, but I did not find myself any wiser. This kind of fear didn’t produce wisdom, but rather it seemed to produce the opposite: discouraging paralysis. There is another kind of fear that we experience in our lives. I think of terrible events like tornados, hurricanes, tsunamis, and volcanos. I remember the tsunami that hit the Indian Ocean in 2004: the pictures and videos of this enormous body of water sweeping over the towns and villages, brushing away houses and hotels like a broom brushes away dust. When I saw those images, I felt another kind of fear deep in my stomach. 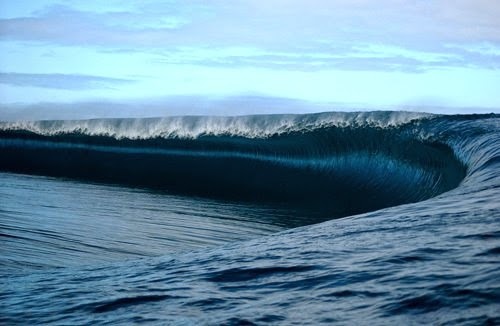 I was afraid of the immense power of a wave that could wage so much destruction with such little effort. After all, it was just water, but it was unstoppable. This fear humbled me. It made me feel small and inconsequential. I think that this sort of fear is a little closer to what the sages meant by the fear of the Lord. It is a fear of power so far beyond our human control, but it is different too. The power of the tsunami was a mindless power that did not think for itself or know what it was doing. It had no will. Some people believe that God is like that, but the Bible does not depict him in such a way. He is purposeful and mindful of his power, and our fear of him must take this into account. The fear that the sage is talking about is a different kind of fear altogether. It is a fear of the Lord as a powerful, active God who rules the entire universe which he himself made and which he himself has complete control over. As Christians we have the wonderful opportunity to come before God in prayer, to talk to him one on one. The work of Jesus has made it possible for us to know God as a man, a brother, and even a friend, but we should not forget that God is also the Creator God and ruler of the Universe. He is so great and powerful, in fact, that if we were to found ourselves face to face with him we would be filled with fear. The disciples felt this fear when they were in a boat with Jesus on the Sea of Galilee. A great sea storm came upon them and they were afraid, but this was not the fear of the Lord. After they woke Jesus, he rebuked the storm and with a word the seas became quiet. The disciples’ response is interesting. The Greek word, in this case, is illuminating: in Mark 4:41, the disciples are described as experience phobon megan or what we might reorder “megaphobia.” In the face of the storm, they were afraid, but in the face of Christ’s Creatorly power, they were megaphobic. This second fear that the disciples feel in this passage is the fear of the Lord. When Jesus stands up and shows them his power as Creator of the universe, they don’t respond with relief but with fear. In Psalm 19, the “fear of the Lord” is listed alongside of other elements of revelation of the Lord including his law (torah), testimony, precepts, commandments, and rules. The fear of the Lord is not limited to emotional response, but rather it is nearly synonymous with the pursuit of God. The person possessed of the fear the Lord seeks the Lord, desires him, and celebrates his character and work in the world. And this fear is the foundation of biblical wisdom.